My Baby Is Average tumblr (via Princess Poochie). As far as I know, Kanye West has nothing to do with the Average Baby tumblr. Thank goodness. I wouldn’t want people to think I have a Kanye West obsession. 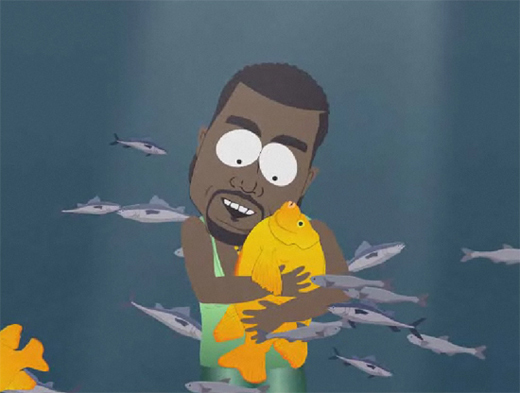 Kanye West is a gay fish. I’m up to page 13 of Average Baby. What other wonders will unfold?!?! but warning, totally gross photo on most recent post. Just incomprehensible. So now w/Average Baby I’ll be reading twisted baby blogs all afternoon. I LOVE STFUParents. So true and so hilarious yet horrifying. I love that video of Josh Groban singing Kanye West’s tweets. Hahah, thanks so much for posting all of those links in one post – so convinient!! I’ve been meaning to check all thsoe out but could never get aroudn to it until i saw this post 🙂 Thank youuuu!!!!!!!!!!!!!!!!!!!!!!!!!! I honestly hope you mean fascinated in an entirely positive way and not so much in a “it’s so horrifying that I can’t look away,” because I ALSO was slightly obsessed with Nicki Minaj’s rap in “Monster” for some reason. I never really got the whole hype around this pink-haired Barbie, but her rap in that song… it’s just the best, I think it’s the best. I also happen to wholeheartedly love Josh Groban, which exponentially grows every time he does more ridiculous things. Sigh. Oh, that’s just you. No, I kid. I said that because that’s what a motherfucking monster would say. I love the entire rap. I fast-forward through the song to just play the rap. And the prize for the best post on the internet in January goes to… you! Genius. Oh that Josh Groban YT video is just brilliant! Haha.